Welcome to Day 1 of Trainwreck’d Society’s Annual Month of Horror Showcase! We have a fully loaded month of all things horror for you fine folks! October is our favorite month for this very reason, and we are so excited to share 31 full days of film showcases and interviews with some of the finest folks from the world of horror, just as we have been doing for the last 5 years. What started as a simple 5 day showcase, has now blossomed into a full blown month long event. You’re going to love this! Enjoy! We are kicking this year’s Month of Horror off with an absolutely wonderful interview with an even more wonderful performer in both the on screen and voice over world. It’s Junie Hoang! True horror fans are going to recognize Junie from her work on the incredible B horror franchise that is Gingerdead Man. This is a series that had me all in simple based on the titles of their films alone. With titles like The Passion of the Crust and Saturday Night Cleaver, so much respect has to be given, and an almost instant biased was born within me. Thankfully, these films were also so damn wonderful! They are so much fun, and as delightfully terrifying as you would want, but also extremely hilarious. And a huge part of why this franchise has been so great to watch is due to Junie, who is just an amazing and delightful human being. When I learned that she was also the voice of Chun-Li in the Street Fighter world, I was absolutely floored with excitement that she was excited to be a part of our Month of Horror series. I love horror. I love what she has done in the world of horror. But, I sure do love me some Street Fighter! Her career has been so wonderfully varied and interesting that we are very excited to have her grace our digital pages today. 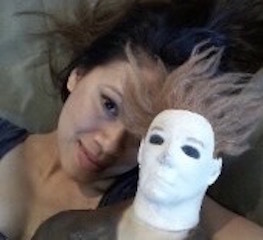 So folks, please enjoy our very first installment of our annual Month of Horror showcase with an interview from the brilliant Junie Hoang! What inspired you to get into the world of acting? Was it an early aspiration to do so, or did you just happen to find yourself in this world one day? I started off in dance when I was 16, but it didn’t work out for me because I was a bit directionally dyslexic and on the short side, so I switched over to acting instead. I was in a comfort zone with dancing and acting was so foreign to me, but as time passed, I realized that the more I worked my acting muscle, I was actually more comfortable in that world than dancing. 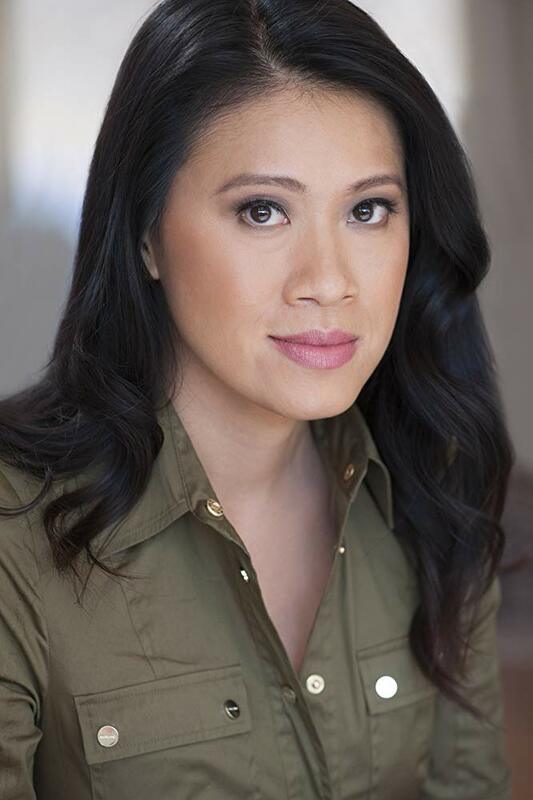 Beyond the world of on-screen acting, you are also a celebrated voice over artist, including voicing Chun-Li during the early days of the Street Fighter franchise! So, how do you enjoy voice over work? How is comparable and how is different from working on screen? I did whatever acting jobs I could get my hands on when I was in Texas to build experience and luckily, I recorded my first job with ADV Films and they brought me back for more episodic anime shows on a regular basis. Voiceover work in L.A. is much more competitive, so I focused more on on-screen work. The one thing I miss about doing voiceover work is, you can show up and audition or do the gig and know that you will not be judged based on how you look. Junie Hoang with the legendary Linda Blair! You have appeared in the second and third installment of the hilariously frightening, and always cleverly titled, Gingerdead Man franchise. You appeared in The Passion of the Crust and Saturday Night Cleaver. I can’t tell you how much fun I have watching these films. So how was it work in a franchise like this? Is it as much fun to work on as it is for the audience to watch? Because of the nature of a comedic horror film, shooting it is so relaxing because it just feels like the cast and crew is there to have a good time while they’re working, which takes the pressure off everyone involved. Getting to hold some of the props and dolls are also a treat. While the world of horror is not the only one you work in, it is our Month of Horror Showcase after all, so I am inclined to ask you how you enjoy working in this genre? What sets it apart from other genres? Horror has been hands down my favorite genre since I was in elementary school, so I will automatically pick that before anything else. I always dreamt of being the Asian Jamie Lee Curtis of horror films. My favorite is Halloween because of course, it’s my favorite holiday to celebrate and watching it always puts me in the mood for the Halloween season. The movie that got me started on loving horror films is The Exorcist, which I watched and was severely traumatized by when I was 10 years old. I start going to Halloween activities on September the 1st so I can get a jumpstart for the next 2 months, but I anticipate the festivities year round. My tradition is to do everything I can get my hands on for those 2 months, which usually comes out to about 40-50 attractions and events that I pack into September and October. Right now I’m shooting a Christmas movie for BET, which is my second favorite holiday. I’ve gotten into a niche of doing urban projects, so next year I return to start shooting Season 2 and 3 of 5th Ward, a TV series for UMC, which is a branch of AMC. My niece was expecting a trip to Chicago last week before she started school, so when I was able to surprise her with a trip to Europe instead, that put a smile on my face as well as hers.